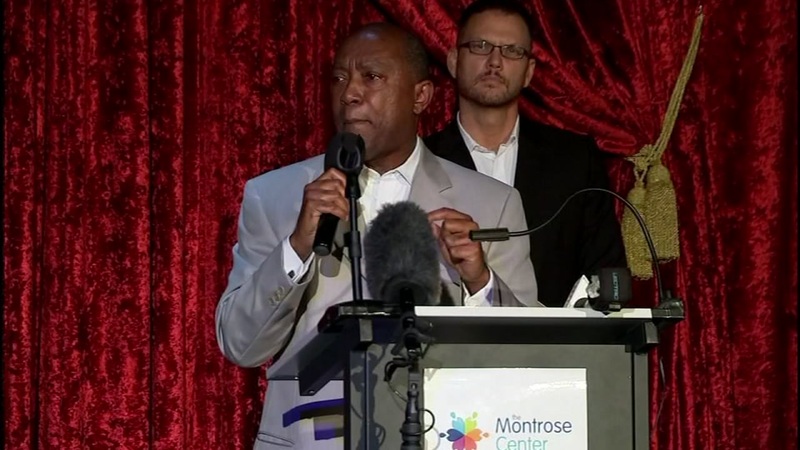 HOUSTON (KTRK) -- It was standing room only on Pacific Street as Houston Mayor Sylvester Turner said into the microphone, "What happened in Orlando could have happened right here in the city of Houston." South Beach in Montrose is typically crowded for the dance floor. On Tuesday night, they lined up for a different reason. 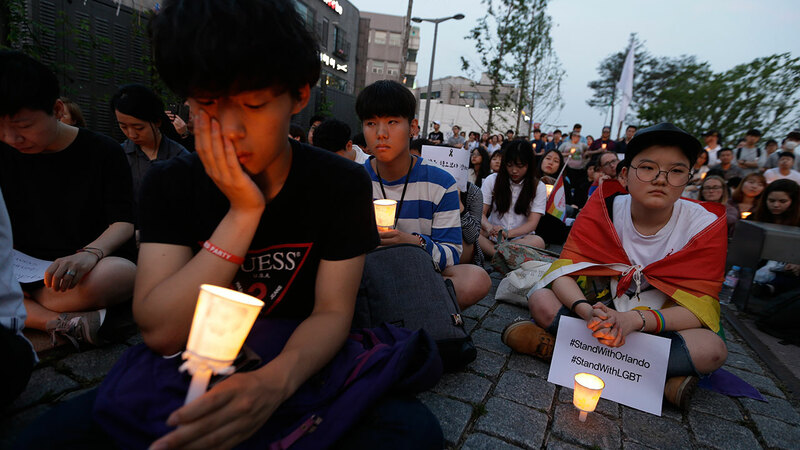 "I haven't been to a gay bar in a long time but the events or Orlando, it still overwhelms me," one vigil participant said as he stood in line. Alliance in Action was organized to support victims and survivors in Orlando. "We have to realized that what happened the other day was not just about gun safety, it was not just about religious fanaticism, it was not just about bigotry towards the lesbian, gay, transgender community but how all those things work together," Harris County Democratic Party Chair Lane Lewis said. Mayor Turner says security in Montrose has increased. "You're going to see a much greater police presence. We will maintain that, not just today or tomorrow but on a continuous basis," he added. A couple hours earlier in southwest Houston, local Muslim leaders stood with law enforcement to denounce radical Islamic terrorism. "It's going to take the collective work of all of us to prevent tragedies like this in the future," Imam Wazir Ali with Masjik W.D. Mohammed said. "We stand hand in hand with you as citizens. We hurt anytime citizens get injured, murdered and maimed." Sheriff Ron Hickman and Harris County D.A. Devon Anderson reminded everyone if you see something, say something. "Please be hyper aware of your surroundings. We do not want a mass shooting in Houston. As far as hate crimes go I will say this, violent crime committed against anyone for any reason in Harris County will not be tolerated under my watch," added Anderson.